For a new player, it is really hard to get out of that elo hell of silvers and join the glorious ranks of Guardians and Eagles. But we have some good tips and tricks for you which would certainly help you get out of the silver ranks and get to a respectable nova rank. Playin in the low ranks means smurfing, cheating, raging and throwing. The ranks of silvers consists of trollers, smurfers, cheaters and the most precious newbie players. These newbie players also recognised by the term ‘noob’ are the backbone of this silver community whom are exploited day after day due to the scum of higher ranked community. These are the players when exploited too much, uses rage hacks and spin bots. But we’ve some tips to get out of that zone and never look back. You just need to follow some basic tricks to master this game. You just need to understand, to be the best, you need to have the advantage that others don’t have, which are off-angles, high HP, grenades till last of the round better weaponary than your oppornents and positional advantages. For the starting, aim. You might have read a lot of articles on good aim and followed video tutorials on youtube about “How to have the global’s aim” but that all is bull****. Seriously, if it was that simple as they explain in the video, everyone must be global by now. The basic trick to have a good aim is anticipation. Expecting where the head of enemy will pop and you will headshot him is the way to go. 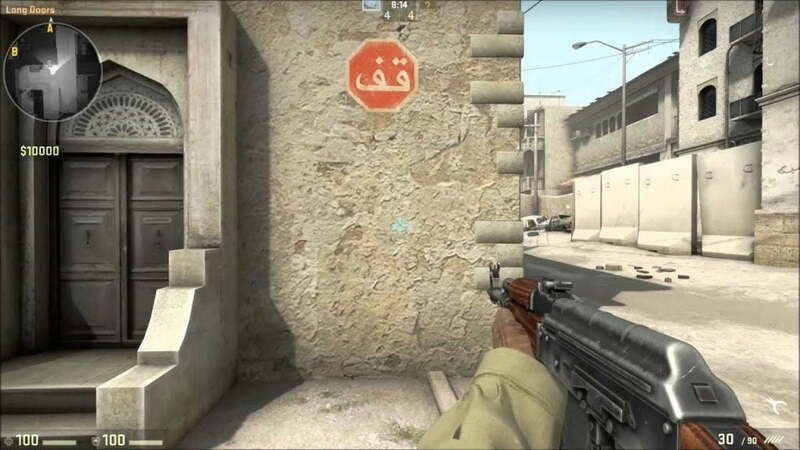 Always keep the crosshair at the prefire positions, where you peek or he peeks and your crosshair automatically intersects his head. By anticipating your enemy’s position, you can expect where he’ll be visible if he is at that position, and you’ll have the advantage to get the kill and possibly the round using this methord. After getting your aim correct, comes the movement. Counter strike has a very specific system for movement. You can do stuffs in this game which can not be observed anywhere else in other games. The important part of which being the bunny hops, also known as bhop, and strafing. Timing is very valuable in this game. Every second determines the advantage which player will have, using and mastering bhop help you to reduce the timing you take to reach any specific position versus running to that position. Using bhop, your velocity increases and your model moves faster than that of any normal running model. When you have the aim and the movement, all you need is good gamesense and better friends. Never play with peoples worse than you, unless you don’t want to learn and you play for trolls. Play with better players who judge and criticize you for your mistakes, which helps you to remember not to repeat those mistakes again. Gamesense can not be bought neither be taught, this is something which you develop after playing hours after hours and you just want to accept all the matches that show up on your screen. Playing different scenarios and challanging your self helps you to develop that gamesense and experience which we’re talking about. No one’s gonna tell you that if any one’s attempting to kill you from midrush, there must be his support from banana on inferno. One of the important aspect of the game sense is sound mechanism. Hearing correct sounds and firing then calling out the correct position is all the part of game sense. These are the basic tricks which you can introduce to your game and see the effects in a week or two. GLHF! CSGOBET.CLICK » New sites » Articles » How to get out of silver ranks?